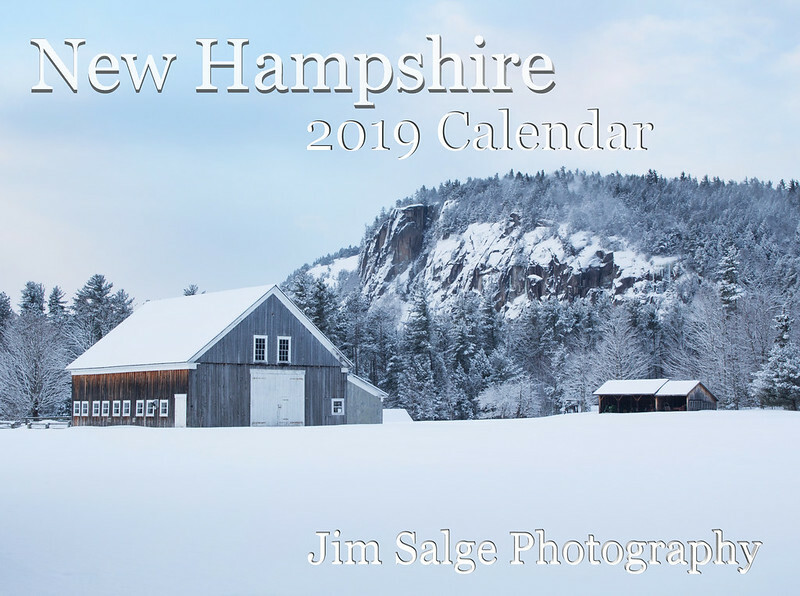 I've again selected twelve of my favorite New Hampshire scenic images for the 2019 New Hampshire Photography Calendar. There are snowy scenes, gorgeous sunrises and perfect autumn color. Most of these images were taken over the past year and a half, with thoughts of including them in the calendar began at the moment of capture! A couple though are from deep in the archives, fresh looks and apprecitation with the benefit of time. 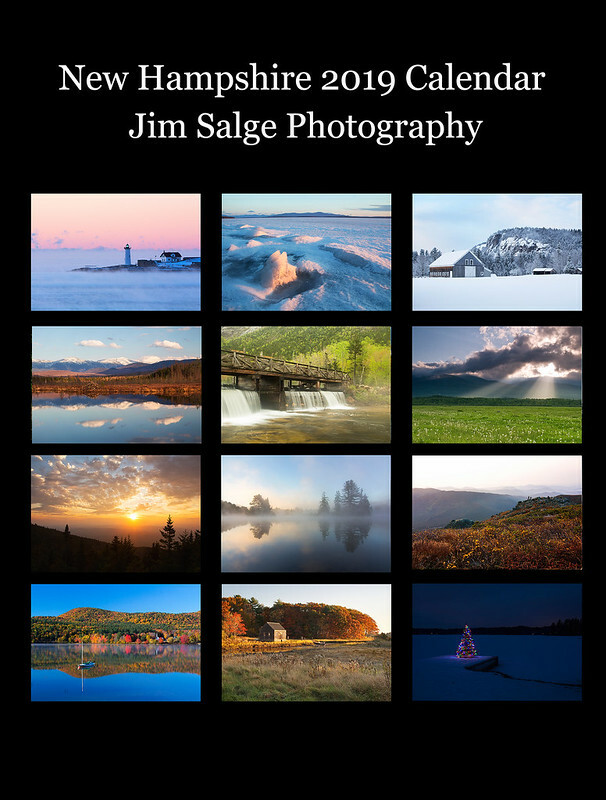 Purchasing a calendar is the perfect way to celebrate the beauty of this great state all year, with the great diversity of landscape and ways to enjoy it. Calendars are $19.99, and can be purchased through this link. Note: Lulu.com is fulfilling our printing and shipping, and they often have online coupon codes for great savings!